People have believed in God for a long time, yet most of them have no understanding of this word “God.” They merely follow along in a muddle. They have no clue as to why exactly man should believe in God or what God is exactly. If people know only to believe in and follow God, but not what God is, nor do they understand God, then is this not the biggest joke in the world? Even though people have witnessed many heavenly mysteries by now and have heard of much profound knowledge that man had never grasped before, they are in the dark on many of the most elementary, as-yet uncontemplated truths. Some people might say, “We have believed in God for many years. How could we not know what God is? Does this not belittle us?” But in reality, although everyone is following Me today, no one has any understanding of all this current work. They let go of even the plainest and easiest of questions, let alone this most complex question of “God.” You should know that those questions that you brush aside and are unable to discover are the ones you most should understand, for you know only to follow the crowd, paying no attention and giving no care to what you should be equipping yourself with. Do you truly know why you should have faith in God? Do you really know what God is? Do you truly know what man is? As a man who has faith in God, if you fail to understand these things, do you not lose the dignity of a believer of God? My work today is this: to have people understand their essence, understand all that I do, and know the true face of God. This is the closing act of My management plan, the last stage of My work. That is why I am telling you all of life’s mysteries in advance, so that all of you can accept them from Me. As this is the work of the final age, I must tell you all the truths of life that you have never taken in before, even if you are unable to absorb them and unable to bear them, because you are simply too deficient and too ill-equipped. I want to conclude My work, to finish all My requisite work, and to inform you fully of what I am commissioning you to do, lest you again stray and fall for the evil one’s deceptions when darkness descends. There are many ways beyond your comprehension, many matters you do not understand. You are so ignorant. I know your stature and your shortcomings well. Therefore, even though there are many words you will not be able to absorb, I still want to tell you all these truths that you have never taken in before—because I keep worrying whether, with your current stature, you will be able to stand testimony for Me. It is not that I belittle you. You are all beasts who have not gone through My formal training, and it is truly questionable how much glory is in you. Although I have spent tremendous energy working on you, it seems that the positive elements in you are practically nonexistent, while the negative elements can be counted on one’s fingers and are only devoted to testimonies to shame Satan. Almost everything else in you is Satan’s poison. You look to Me like you are beyond salvation. So, things being where they are now, I look at your various demeanors, and I finally know your true stature. That is why I keep worrying for you: Left to live life on his own, will man really end up better off than or comparable to how he is today? Are you not anxious over your infantile stature? Can you truly be like the chosen people of Israel, loyal to Me and Me alone under all circumstances? What you are displaying is not the mischievousness of children out of their parents’ sight, but the beastliness that erupts in animals out of reach of their masters’ whips. You should know your nature, which is also the weakness all of you share, your common ailment. Thus My only exhortation to you today is to stand testimony for Me. Do not under any circumstance let the old ailment flare up again. The most important thing is to give testimony. That is the heart of My work. You should accept My words just as Mary accepted Jehovah’s revelation that came to her in a dream, believing and then obeying. Only this qualifies as being chaste. For you are the ones who hear My words the most, the ones most blessed by Me. I am giving you all My valuable possessions, bestowing absolutely everything on you. Your status and that of the people of Israel, however, are so different, so completely worlds apart. Yet compared to them, you are receiving so much more. While they wait desperately for My appearance, you spend pleasant days with Me, sharing of My riches. By comparison, what gives you the right to squawk and squabble with Me and demand portions of My possessions? Are you not receiving enough? I give you so much, but what you give Me in return is heart-rending sadness and anxiety and irrepressible resentment and discontent. You are too repugnant, yet you also arouse pity. Therefore I have no choice but to swallow all My resentment and protest to you again and again. Over these several thousand years of work, I had never brought any objections to mankind before because I have discovered that in the history of mankind’s development, only the deceits among you are the most renowned. They are like precious inheritances left you by the famous ancestor of antiquity. How I hate those less-than-human swine and dogs. You are too conscienceless! Your character is too base! Your hearts are too hardened! If I took these words of Mine and this work of Mine to the Israelites, I would have gained glory long ago. But not so among you. Among you there is only cruel neglect, your cold shoulder, and your excuses. You are too unfeeling and too worthless! You should offer your all for My work. You should do work that benefits Me. I want to tell you about everything that you are unclear on so that you can gain all that you lack from Me. Even though your defects are too numerous to count, I am willing to keep doing the work that I should be doing on you, granting you My last mercy so that you may benefit from Me and gain the glory that is absent in you and that the world has never seen. I have worked for so many years, yet none among men has ever known Me. I want to tell you secrets that I have never told anyone else. Among men, I was the Spirit that they could not see, the Spirit that they could never come into contact with. Because of My three stages of work on earth (creation of the world, redemption, and destruction), I appear in their midst at different times (never publicly) to do My work among men. The first time I came among men was during the Age of Redemption. Of course I came among the Jewish family; therefore the first to see God coming to earth were the Jewish people. The reason I did this work personally was because I wanted to use My incarnate flesh as a sin offering in My redemption work. So the first to see Me were the Jews of the Age of Grace. That was the first time I worked in the flesh. In the Age of Kingdom, My work is to conquer and perfect, so I again do shepherding work in the flesh. This is My second time working in the flesh. In the last two stages of work, what people come into contact with is no longer the invisible, untouchable Spirit, but a person who is the Spirit actualized as flesh. Thus in the eyes of man, I again become a person with none of the look and feel of God. Moreover, the God that people see is not only male, but also female, which is most astounding and puzzling to them. Time and time again, My extraordinary work shatters old beliefs held for many, many years. People are stunned! God is not only the Holy Spirit, that Spirit, the sevenfold intensified Spirit, the all-encompassing Spirit, but also a person, an ordinary person, an exceptionally common person. He is not only male, but also female. They are similar in that They are both born to humans, and dissimilar in that one is conceived by the Holy Spirit and the other is born to a human but derived directly from the Spirit. 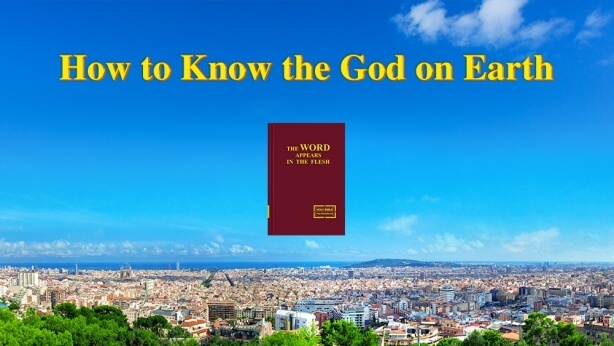 They are similar in that both incarnate fleshes of God carry out God the Father’s work, and dissimilar in that one does the work of redemption and the other does the work of conquering. 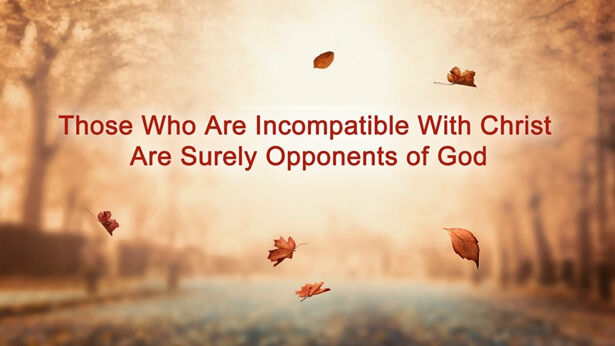 Both represent God the Father, but one is the Lord of redemption filled with lovingkindness and mercy, and the other is the God of righteousness filled with wrath and judgment. One is the Supreme Commander to launch the redemption work, and the other is the righteous God to accomplish the work of conquering. One is the Beginning, the other the End. One is sinless flesh, the other is flesh that completes the redemption, continues the work, and is never of sin. Both are the same Spirit, but They dwell in different fleshes and are born in different places. And They are separated by several thousand years. Yet all Their work is mutually complementary, never conflictual, and can be spoken of in the same breath. Both are people, but one is a baby boy and the other is an infant girl. For all these many years, what people have seen is not only the Spirit and not only a man, a male, but also many things that do not jibe with human notions, and thus they are never able to fully fathom Me. They keep half believing and half doubting Me, as if I do exist and yet am also an illusory dream. That is why to this day, people still do not know what God is. Can you really sum Me up in one simple sentence? Do you truly dare to say “Jesus is none other than God, and God is none other than Jesus”? Are you really so bold as to say “God is none other than the Spirit, and the Spirit is none other than God”? Are you comfortable saying “God is just a person clothed in flesh”? Do you truly have the courage to assert “The image of Jesus is simply the great image of God?” Are you able to thoroughly explain God’s disposition and image on the strength of your gift for words? Do you really dare to say “God created male only, not female, after His own image”? If you say this, then no female would be among My selected and much less would females be a kind within humankind. Now do you truly know what God is? Is God a human? Is God a Spirit? Is God really a male? Can only Jesus complete the work I want to do? If you choose only one of the above to sum up My essence, then you would be an exceedingly ignorant faithful believer. If I work as incarnate flesh once and only once, might you delimit Me? Can you really understand Me thoroughly with one look? Can you really sum Me up completely thanks just to what you have been exposed to during your lifetime? And if in My two incarnations I do similar work, how would you perceive Me? Might you leave Me forever nailed to the cross? Can God be as simple as you say? Although your faith is very sincere, none among you is able to explain Me thoroughly, and none among you is able to fully testify to all the realities that you see. Think about it. Right now most of you are derelict in your duties, going instead after things of the flesh, satiating the flesh and greedily enjoying the flesh. You possess little truth. How then can you bear testimony for all that you have seen? Are you really confident you can be My witness? If one day you are unable to testify to all that you have seen today, then you will have lost the function of a created being. There will be no meaning whatsoever to your existence. You will be unworthy of being a human. One can even say that you will not be a human! I have done an infinite amount of work on you. But because presently you learn nothing, know nothing, and work in vain, when I need to expand My work, you will stare blankly, tongue-tied and utterly useless. Will that not make you a sinner of all time? When that time comes, might you not feel the deepest regret? Might you not sink into dejection? I am not doing all this work now out of boredom, but to lay a foundation for My future work. It is not that I am at an impasse and have to come up with something new. You should understand that the work I do is not child’s play[a] but is in representation of My Father. You should know that it is not just Me doing all this Myself. Rather, I am representing My Father. Meanwhile, your role is strictly to follow, obey, change, and testify. What you should understand is why you should believe in Me. This is the most important question for each of you to understand. My Father, for the sake of His glory, predestined all of you for Me from the moment He created the world. It was none other than for the sake of My work, and for the sake of His glory, that He predestined you. It is because of My Father that you believe in Me; it is because of My Father’s predestining that you follow Me. None of this is of your own choosing. Even more important is that you understand you are the ones My Father bestowed on Me for the purpose of testifying for Me. Because He bestowed you on Me, you should abide by the ways I bestow on you and the ways and the words I teach you, for it is your duty to abide by My ways. This is the original purpose of your faith in Me. So I say to you, you are merely people that My Father bestowed on Me to abide by My ways. However, you only believe in Me; you are not of Me because you are not of the Israelite family but are instead of the kind of the ancient serpent. All I am asking you to do is to bear witness for Me, but today you must walk in My ways. All of this is for the sake of future testimonies. If you function only as people who listen to My ways, then you will not have any value and the significance of My Father’s bestowing you on Me will be lost. What I insist on telling you is this: You should walk in My ways.